Dropped, detailed and distressed. 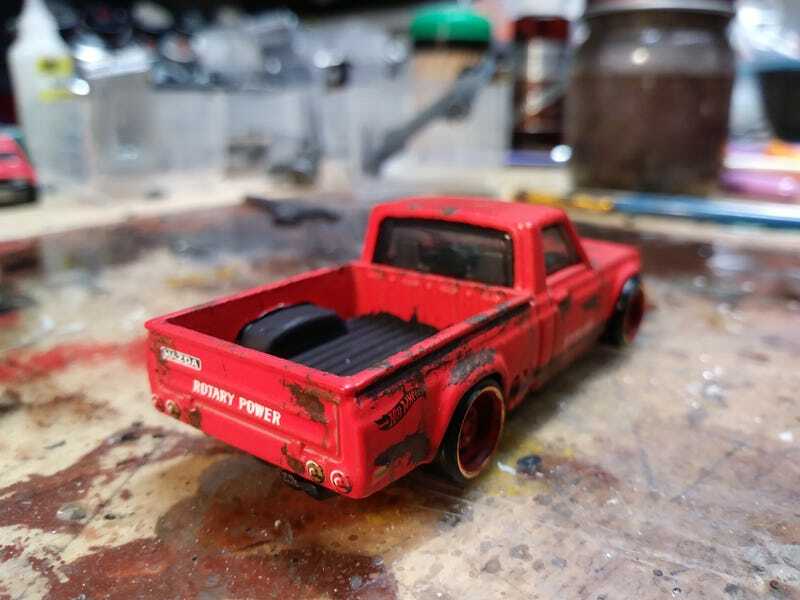 These rusty vehicles are lots of fun to do. I didn’t realize til i was taking these shots that i forgot to detail the inside of the bed. This will have to go back on the bench.